As a community caretaker, under limited circumstances, a law enforcement officer might even be justified in entering a home without a warrant. Prosecutors often argue that a “reasonable belief” is not the same thing as “probable cause” because a reasonable belief is often defined as a less exacting standard than probable cause. If a law enforcement officer’s governmental interest of a certain function outweighs an individual’s interest in freedom from governmental intrusion, then a prosecutor will often allege that the law enforcement officer is justified in conducting a reasonable search in a residence without a warrant as a community caretaker. Many community caretaking situations will arise after a 911 call about domestic violence or concerned citizens about a suspicious activity either in or around a residence. Prosecutors also raise the community caretaking exception when a law enforcement officer approaches a person “passed out” in a vehicle. The Supreme Court wrote about community caretaking and domestic violence by stating, “No question has been raised, or reasonably could be, about the authority of the police to enter a dwelling to protect a resident from domestic violence; so long as they have good reason to believe such a threat exists, it would be silly to suggest that the police would commit a tort [a civil wrong] by entering, say, to give a complaining tenant the opportunity to collect belongings and get out safely, or to determine whether violence (or threat of violence) has just occurred or is about to (or soon will) occur?.” Georgia v. Randolph, 547 U.S. 103, 118 (2006). The criminal defense attorney in these cases will often file and litigate a motion to suppress evidence gained during an illegal entry into the home. It is important to recognize that there is no “domestic violence” exception to the Fourth Amendment. See United States v. Black, 482 F.3d 1035, 1040 (9th Cir.2007) (“we have stopped short of holding that ‘domestic abuse cases create a per se exigent need for warrantless entry’ “) (quoting Brooks, 367 F.3d at 1136); United States v. Davis, 290 F.3d 1239, 1244 (10th Cir.2002) (declining to “grant[ ] unfettered permission to officers to enter homes, based only upon a general assumption domestic calls are always dangerous”) (emphasis in original). Conclusion When a warrantless search leads to criminal charges, it is important to retain a criminal defense attorney that understands how to file and litigate motions to suppress the evidence obtained from an illegal search and seizure. Understanding the limitations on the community caretaking exception is important in these cases. 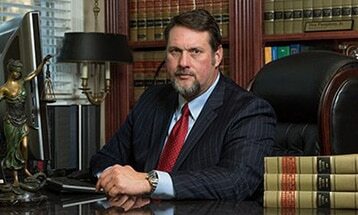 The attorneys at Pumphrey Law, in Tallahassee, FL. Call today to discuss your case. We can begin your defense today.